Elite-5 IceMachine has an average rating of 4.33 out of 5 based on 3 user reviews. It is time to pack your winter coat, because the Lowrance Elite-5 IceMachine is improving the way you fish on ice. Specially created to provide not only reliable performance and easy portability but also perfect angles for ice fishing, the Elite-5 IceMachine has a brilliant, vibrant 5 inch display with special SolarMAX 256 color, so you can view each graph, chart and number with perfect clarity no matter what the weather is like or how cold it gets (the Elite-5 IceMachine can withstand temperatures as low as negative 20 degrees Fahrenheit). The machine has a backlit and a keyboard designed specifically to provide ease of use, even if you’re holding the machine with only one hand and a single thumb – a crucial capability when you’re fishing on ice and don’t have a free second hand. Traveling with your Elite-5 is easy because it comes with an Ice Fishing Pack: a special weather proof bag, battery charger, tackle trays and more. It contains an adjustable mount as well, so you can customize its placement according to your needs. 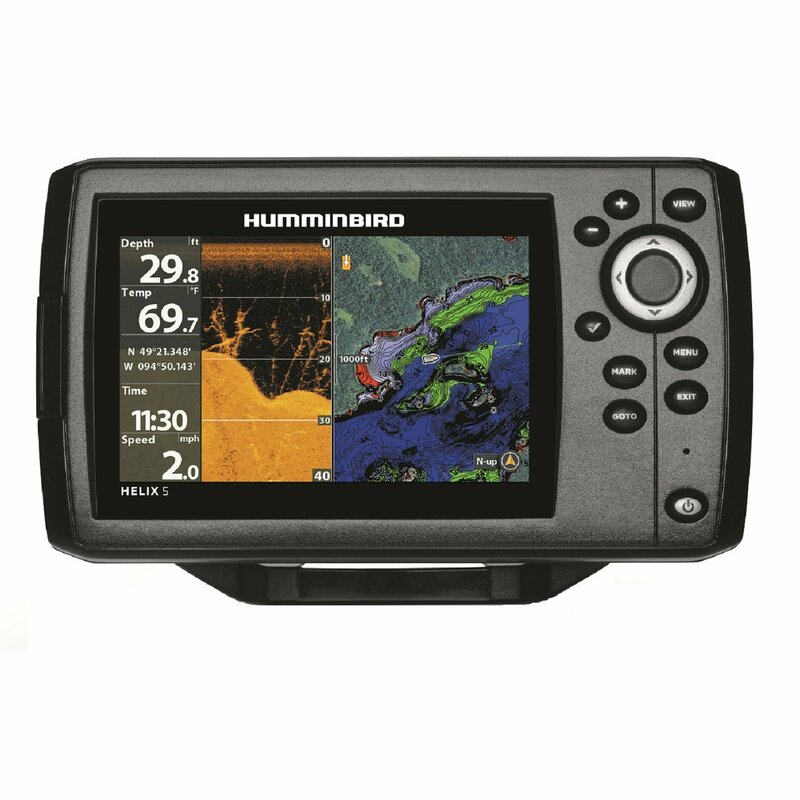 All of these features combine to make the Lowrance Elite-5 IceMachine an ice fishing power house fishfinder and chart plotter. I used my Elite 5 DSI on the ice for the first time this year and I gave my son my 3 yr old vexlar as I will never own another flasher again, no more noise can see fish better and tell what depth they are in and dual beam transducer for split screan, battery last four times as long and my gps all in one no comparison, and flasher mode if I so want. Hands down electronic graphs is the only way to go the best idea in decads!!!!!!!!!!! I bought this fishfinder with the ice transducer and I had a separate transducer installed on the boat. I’m using the same fishfinder on the boat in the summer and as an ice flasher in the winter. I’m getting more bang for the buck that way.